One of our unique departments here at Southern Cameras is our Telescope/Astronomy department. This department has been around almost as long as we have, it was started by the previous owner who had a lifelong passion for Astronomy. Over the years the range of telescopes available has increased dramatically and they are becoming a lot more affordable. 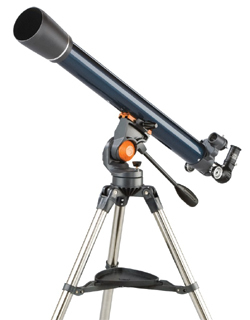 We now offer a huge range of telescopes to suit nearly any purpose and every budget, from $199 to $50k…. What the… i hear you ask, how could someone spend $50k on a telescope??? Pretty easily actually, but I will explain how later. 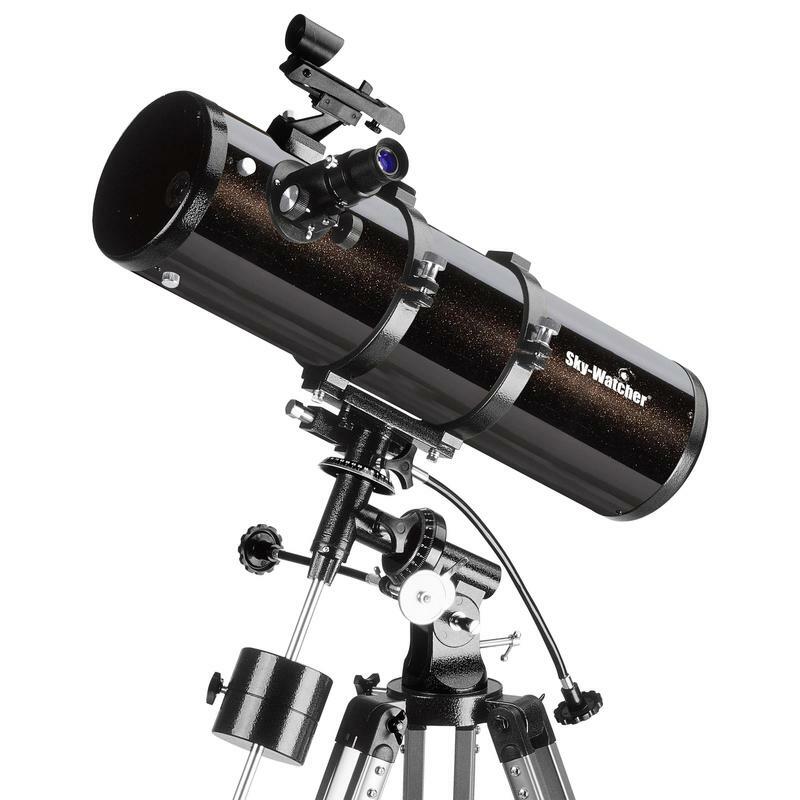 Right now you have decided you want a telescope, but do not know what to get, and the Interweb here is not helping due to the overwhelming number of choices and different types of telescope out there. What are the different types of telescope? I will break them down for you. The 3 main types of telescope OTA (Optical Tube Assembly) are Refractor, Reflector and Cataodioptric. Refractors (pic at left)are easily recognized as they generally are a longer tube that is not very big in diameter or Aperture. This aperture generally around 90-150mm (3.5 – 6 inches), although there are smaller and larger models available. To view with a refractor, the eyepiece is located at the back of the telescope and you look straight down the barrel of the telescope. This makes a refractor very versatile, and they can be used for land and sky viewing, Land views require a prism to be added in the back between the back of the telescope and the eyepiece to make sure the image is up the right way, and not mirrored. They can also be mounted to other telescopes as a second unit for precise guiding using an auto guider instrument or imaging with a camera attached, but i will get into that later. There are some very cheap refractors out there, many found in toy shops, these tend to be very cheap and not very good, the lenses and eyepieces are generally constructed from plastic and tend to be too powerful for the small aperture (50mm/2 inch) and focal lengths. Also the mounts and tripods are very light and do not provide enough stability for good viewing. A reasonable telescope that will give excellent land views and pretty darn good night views will set you back a couple of hundred bucks and come with a decent tripod, good quality optics and only require a little assembly. Reflector telescopes are exactly how they sound, they are a telescope that uses mirrors to reflect light to the eyepiece. A major advantage of the reflector is that they can be made much larger than a refractor as the main mirror can be carried with a lot more support, where as a lens cell for a refractor can only be supported on the edge of the optics and too large a lens can sag under its own weight destroying image quality. The most common type are Newtonian reflectors (pic right), invented by Sir Isaac Newton, the Newtonian reflector gathers light at the front, and the primary mirror surface is at the back of the tube, and light is directed to the secondary mirror near the front of the telescope and directed sideways to the eyepiece. 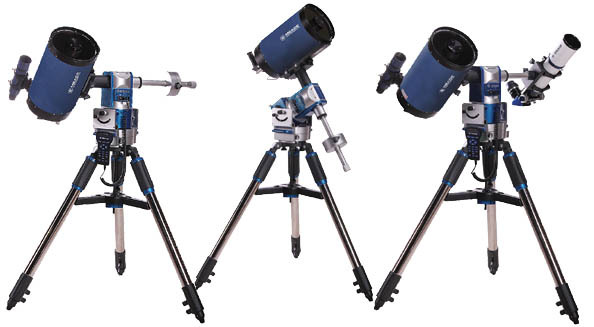 The Ne wtonian design is rather adaptable too, they can be mounted on a tripod and Equatorial mount as above, or on the easy to set up and use Dobsonian Mount (left). The Dobsonian Mount is a simple 2 axis mount where the user simply pans and adjusts the elevation of the eyepiece to find the night object. Dobsonian telescopes tend to deliver excellent ‘bang for the buck’ the Telescope itself is relatively easy to produce, and the mount is a box on a turntable. So a larger aperture instrument, such as an 8 or 10 inch model can be as cheap as six or seven hundred bucks. These big instruments allow deep space viewing on a small budget. The last major type of telescope are known as a Catadioptric . This design is also known as a Cassegrain, and takes the good things of a refractor, the good bits of a reflector and combines them into one OTA. The Catadioptric telescopes have the exit aperture at the back of the telescope like a refractor but the primary optics are Mirrors like a reflector. There are several types of Cassegrain on the market, the most common being the Schmidt-Cassegrain, and the Maksutov-Cassegrain. One of the most famous Catadioptric telescopes ever is NASA’s Hubble SBT. Hubble, and the Spitzer Space Telescope both use the Ritchey-Chretien design that produces a large field of view that is also free from optical errors. Most telescopes of the Ritchey-Chretien design are larger optics that are 20 inches and larger by small precision optical firms and relatively expensive due to the fact that the primary mirrors are complex hyperbolic type mirrors that are tough to fabricate and test. Ok, so the tough questions, what am i going to use the scope for? Primarily night with a little day time, or daytime with a bit of night viewing or all night time, and no interest in looking during the day? If your answer is the last one, all night, no interest in land views, then a reflector by far and away is your best choice, plus there are some fantastic budget options available. If your answer is Mainly night, and a bit of day time, then i would recommend a Catadioptric telescope, something like a Schmidt-Cassegrain as these are amazing at night, and can be easily set up for day time use. Though, be prepared that if you want a budget telescope, most Catadioptric scopes are not budget models.. 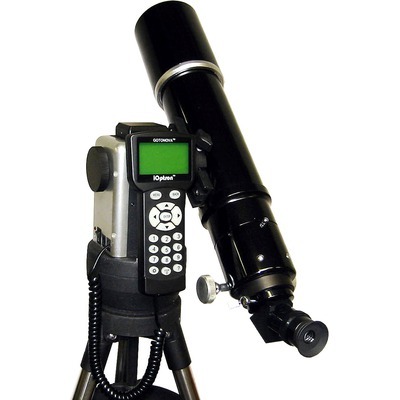 If you want a telescope for a big bit of day time and some good night views then a refractor is a prime choice. Plus if you are budget orientated then Many refractors are great value. 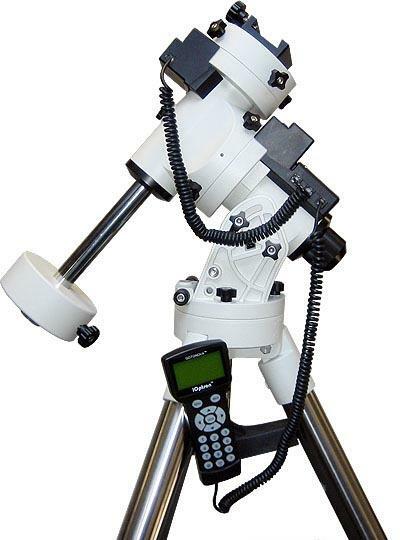 If you are using a Refractor, these are generally available on 2 different mounts, the Altzumith Mount or German Equatorial Mount. The Altzumith, or commonly called AZ mount allows the telescope to tilt up and down, and turn side to side, where as the German Equatorial (EQ) is a bit more complicated to set up accurately but provides superior night time viewing when set up accurately. Many Catadioptric scopes come on a fork mount (pic left) that can be used as a psuedo EQ mount with the addition of a wedge to the mount, or as an AZ mount. These fork mounts are now generally computer controlled and provide automatic tracking and positioning. Most newtonian reflectors are mounted on an EQ mount only as the AZ mounts do not make much sense because the Newtonian is not designed for land views. Mounts for telescopes also get more complex with increased size and price of kits, a good mount should be able to handle more weight than you intend to put on it. This helps reduce vibrations through the mount into the telescope for clearer viewing, the mount s are generally also known as GOTO, which are computer guided, and come with a hand piece that has a large database of night sky objects, so all a user does is enter the object in the hand controller, and press the GOTO button and the mount is automatically steered to the object and will track the object across the sky. These mounts can also have GPS units built in, this makes setting up the mount easier as the GPS automatically enters the location data into the controllers brain that makes it easier to locate the night sky objects with less errors. Most mounts purchased as upgrades tend to be of the German EQ type, such as the iOptron iEQ45 (at right) although there are some other mounts in the market, such as iOptrons mini tower(left) that can be used with a single OTA or 2 OTA’s mounted at the same time. 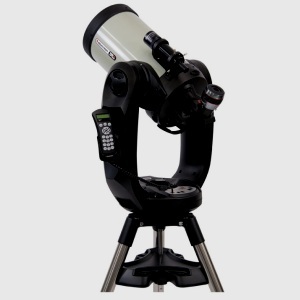 One very clever mount available today is the Meade LX80. This mount can be set up in 3 different configurati ons, EQ, Single OTA AZ, Dual OTA AZ, this mount is full GOTO, and can be changed between the 3 setups in as little as 5 minutes. yet still be a highly functional mount that can handle a 10 inch Cassegrain type telescope with extra capacity to spare. Anyway, back on topic, what telescope should you buy, depends on what you want to use it for, what your budget is, and what accessories you want to add to it. Check out http://www.southerncameras.co.nz/category.pasp?categoryid=17 for lots of options….